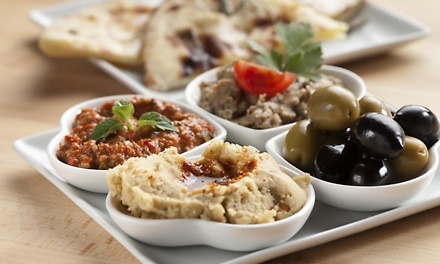 For $0, receive Free Appetizer and Baklava with Purchase of $40 or More. Worth $8 or more depending on your order amount. Promotional value paid will be auto-refunded after expiration. This voucher is issued by the merchant. Additional fees may apply. Limit 2 per person, may buy 2 additional as gifts. Limit 1 per visit.